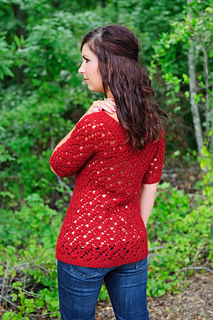 Kits & pattern are available at KnitCulture! paradox: simultaneously cozy and breathable. This lace repeat worked at a loose gauge in an alpaca yarn achieves just that. Use a cotton or bamboo blend at the same gauge for a lighter garment. 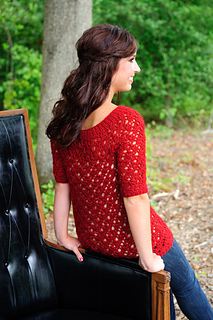 The sweater is worked top-down in the round, all in one piece. 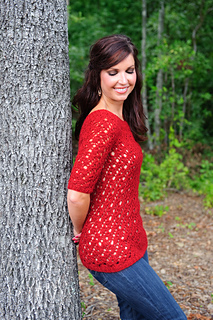 The lace pattern is both written and charted. Shown in size S.
Disclaimer: Designer not responsible for indecent exposure citations received should you choose to wear this without the proper undergarments.